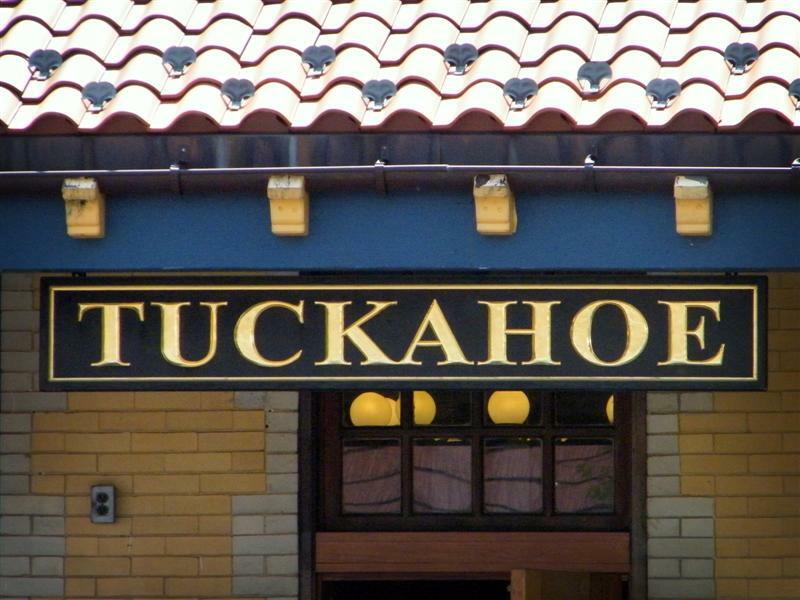 This Tuesday we visit yet another Westchester Harlem Line station: Tuckahoe. 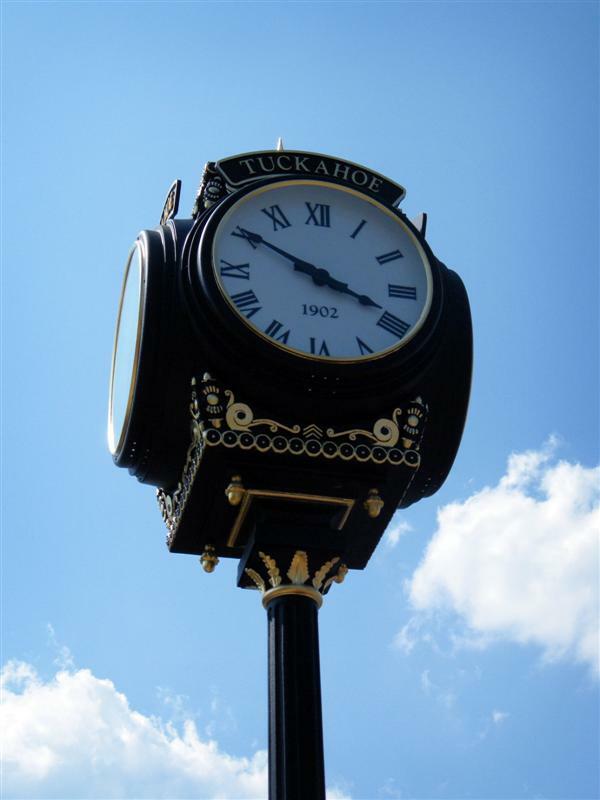 Tuckahoe is interesting in both an artistic sense, as well as historical. 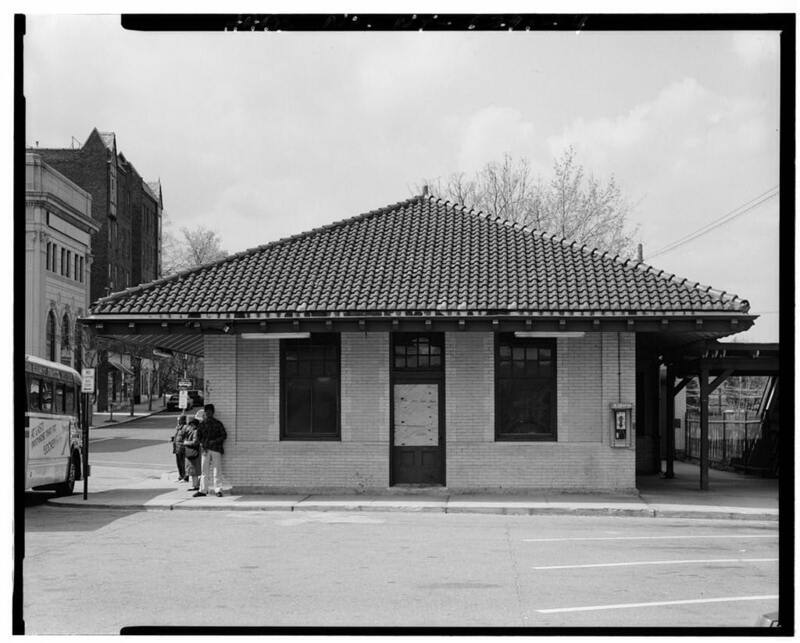 It is one of the few stations on the line that has an Arts For Transit piece, and the old station building still survives. 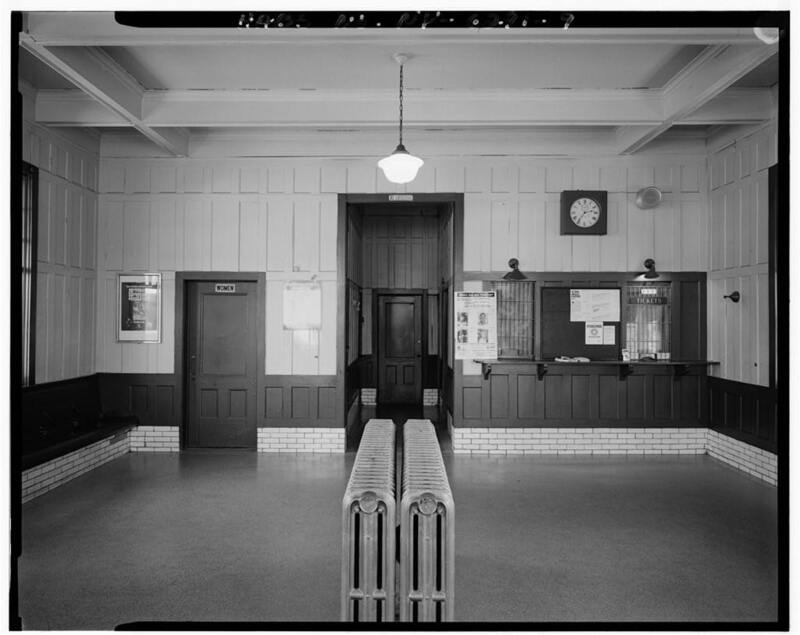 It may not be used for selling tickets any longer, but it is beautifully restored and is occupied by Starbucks. 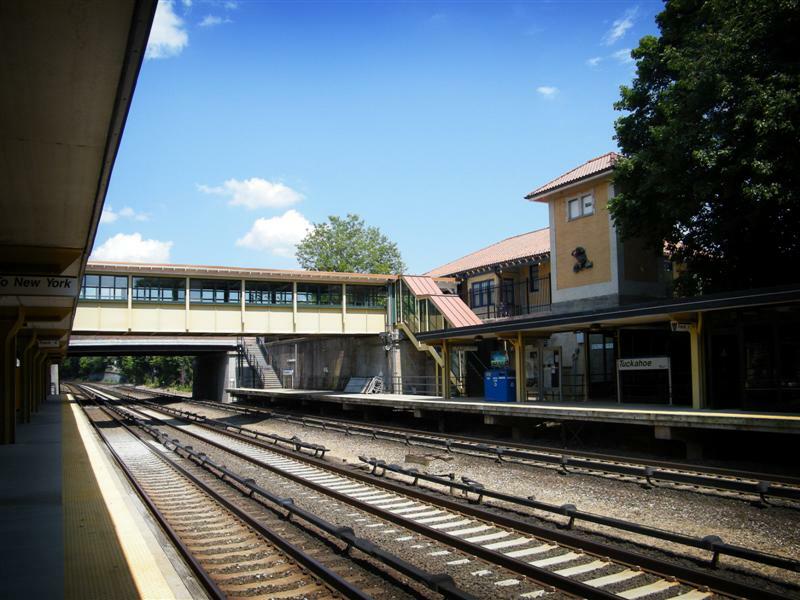 Tuckahoe itself is village located in the town of Eastchester, in the southern portion of Westchester county. 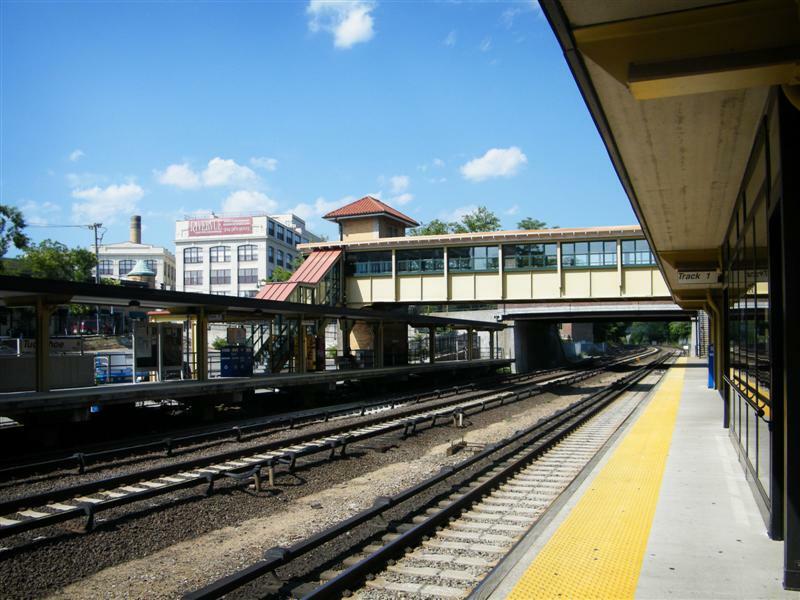 Although the railroad played a significant part in the growth of Tuckahoe and all of the areas located along the line in Westchester (and further north), it was the discovery of marble in the early 1800’s that led significantly to the growth of the village. 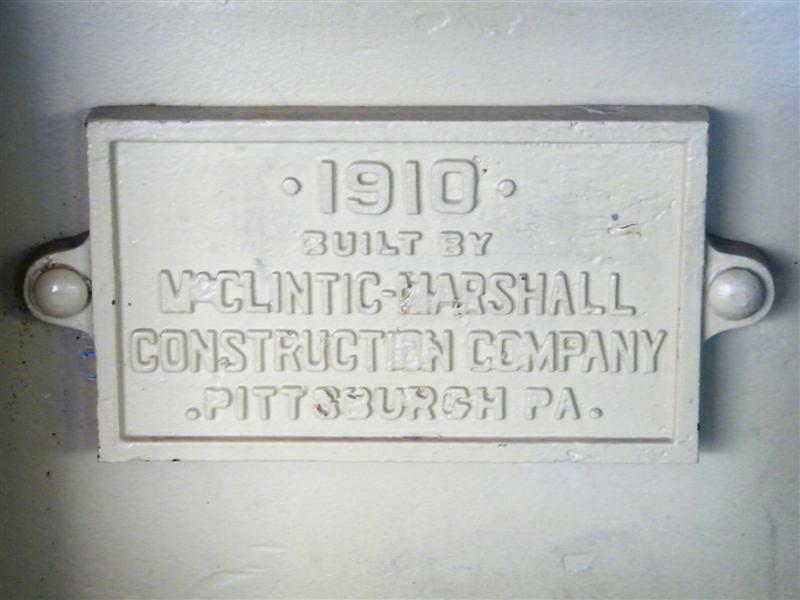 (The village was officially incorporated in 1902, the marble quarries were shut down in the 1930’s). 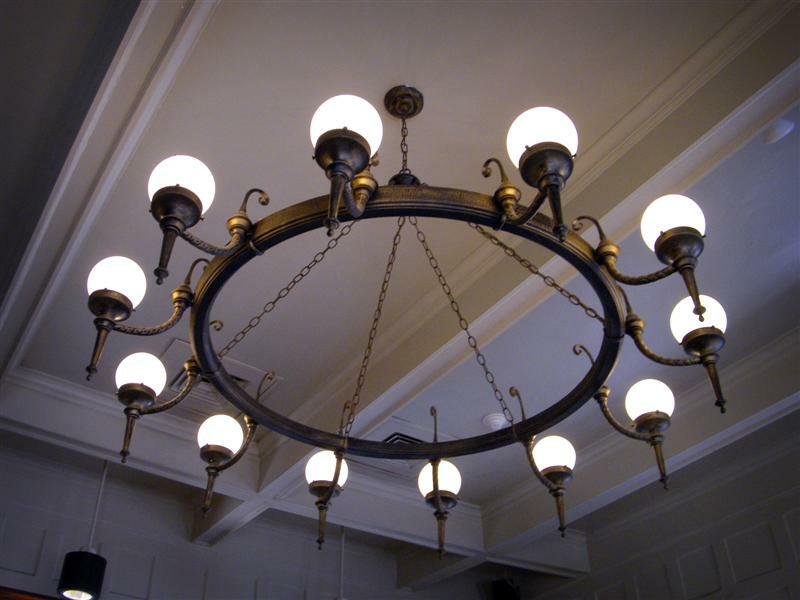 Tuckahoe marble was used in many high-profile buildings, including St. Patrick’s Cathedral in the city, and the Washington Monument in Washington DC. 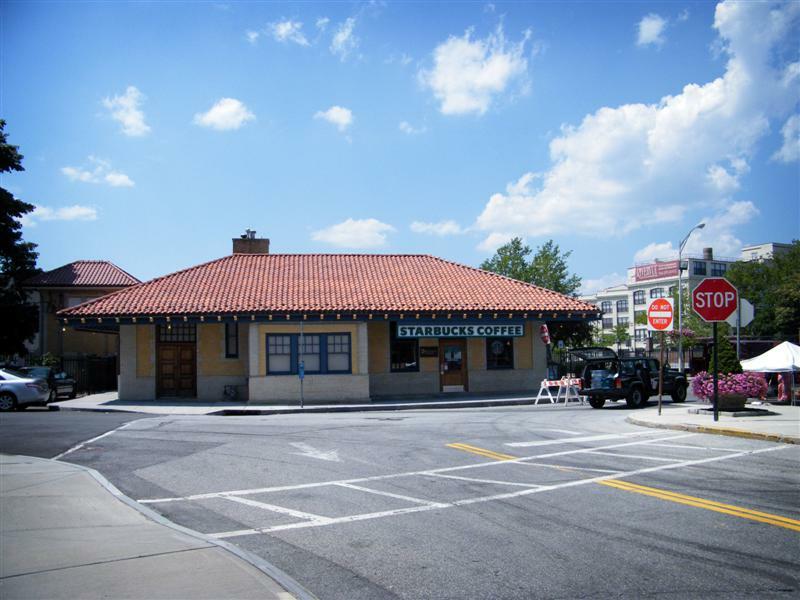 Tuckahoe’s station building was erected in 1901 and was designed by architects Reed & Stem. 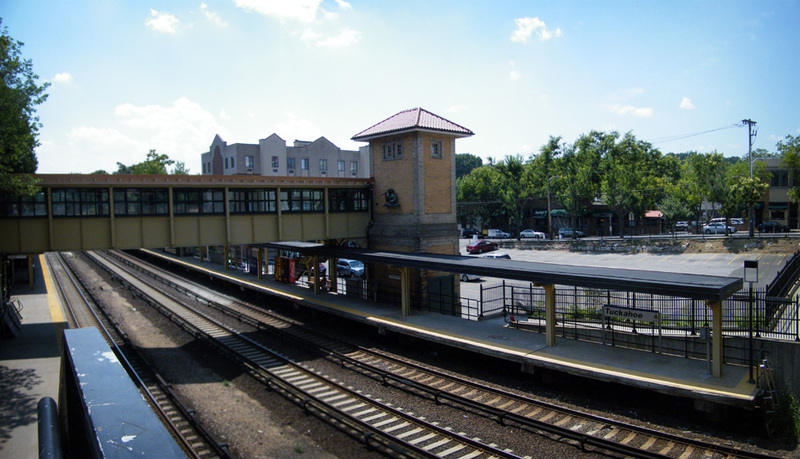 Reed & Stem worked on several stations on the Harlem Line, including Chappaqua, Scarsdale, and most notably, Grand Central. 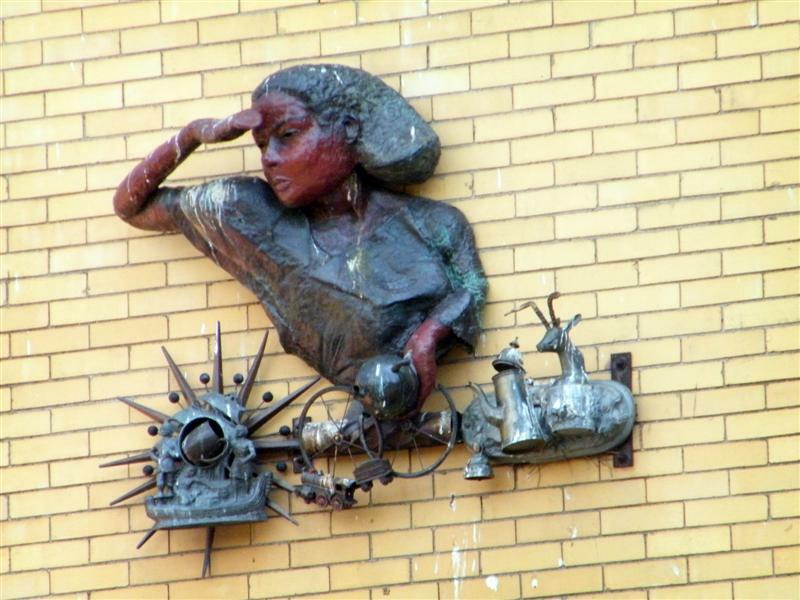 An Arts for Transit piece called The Finder / The Seekers by Arthur Gonzales is present at the station. 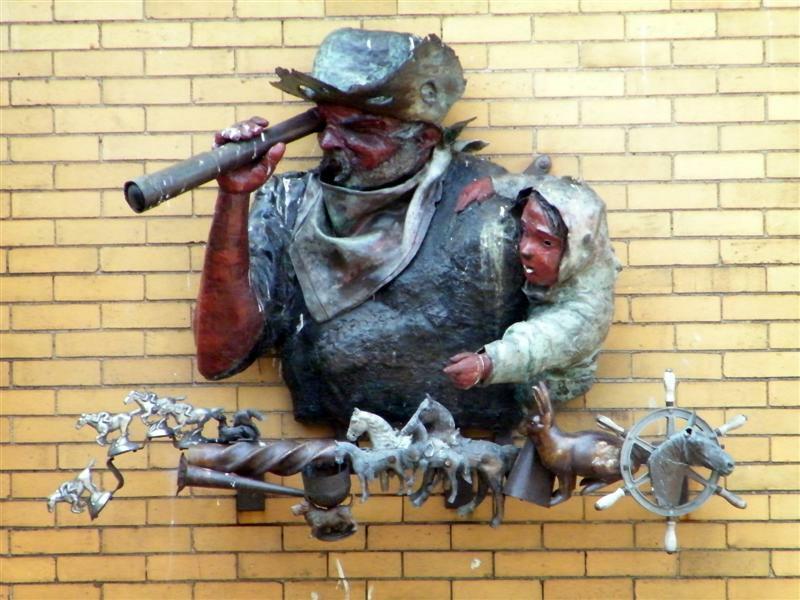 Companion pieces also by Gonzales are at Crestwood and Fleetwood. 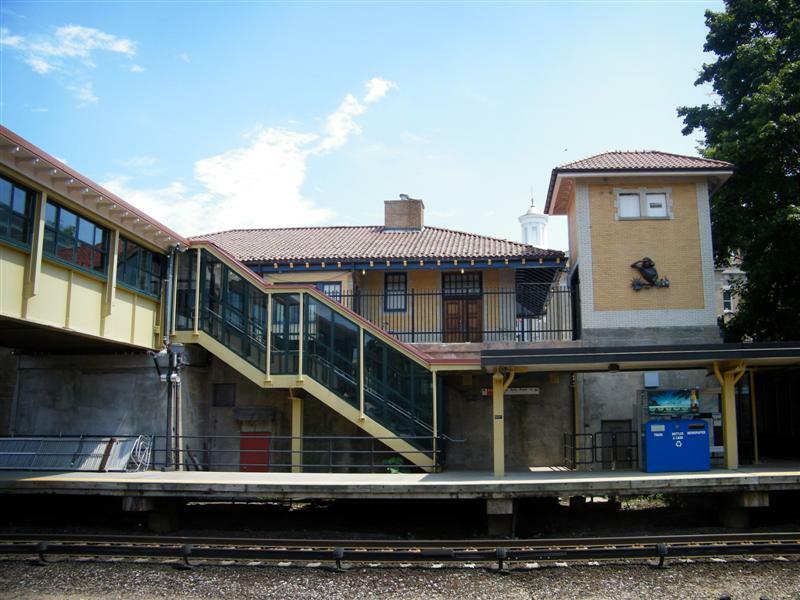 The station is located in a commercial area, and there are a few shops and restaurants that surround it. 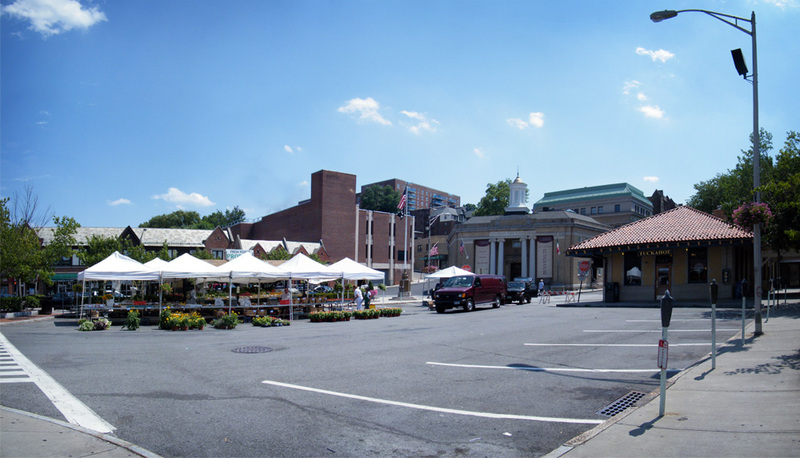 On Sundays during the summer the station’s parking lot also plays host to a farmers market (which you can see in the first photo). 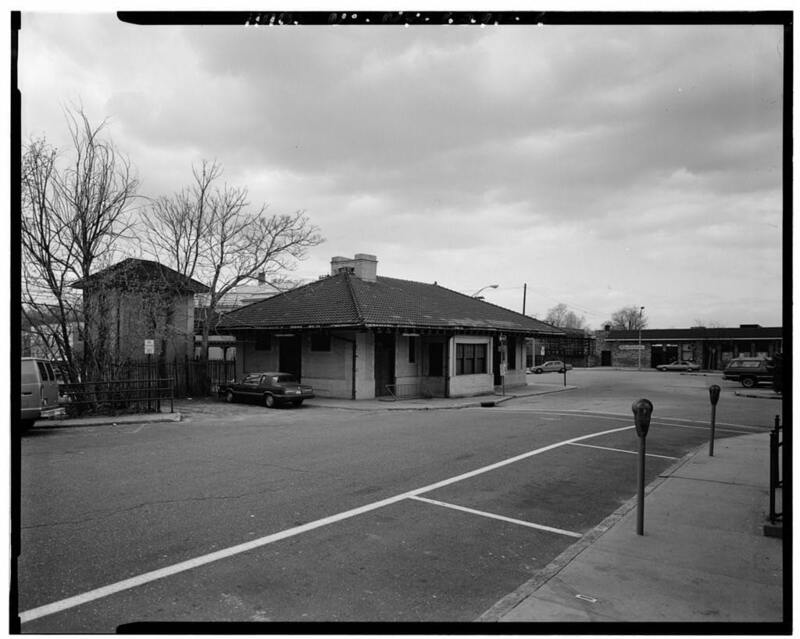 As a bonus, here are some older photos of Tuckahoe in 1988. 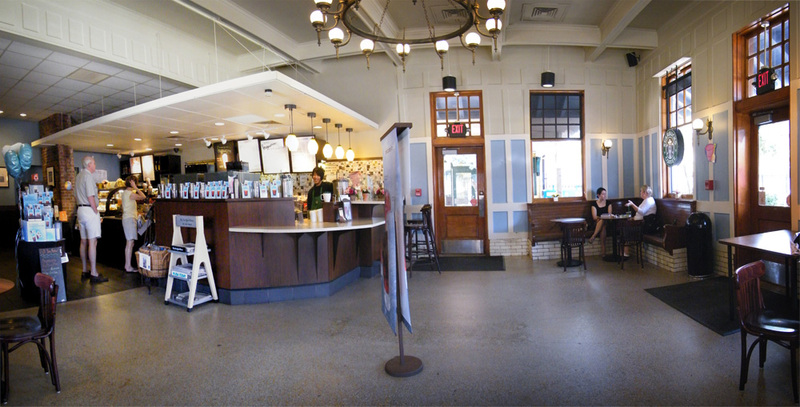 The station building looks a bit run down, and although I’m not the biggest fan of Starbucks, I must admit it looks much nicer today. Thanks for posting these old pictures. 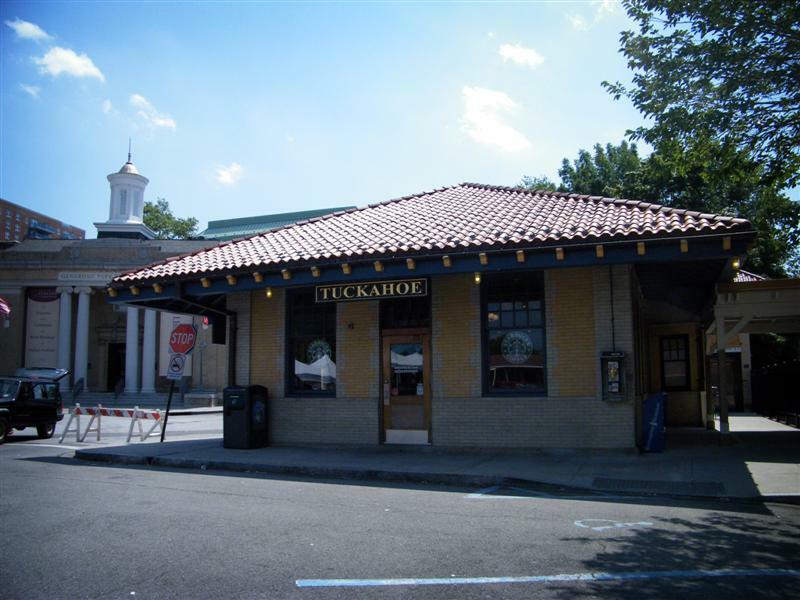 Tuckahoe is now my home station. 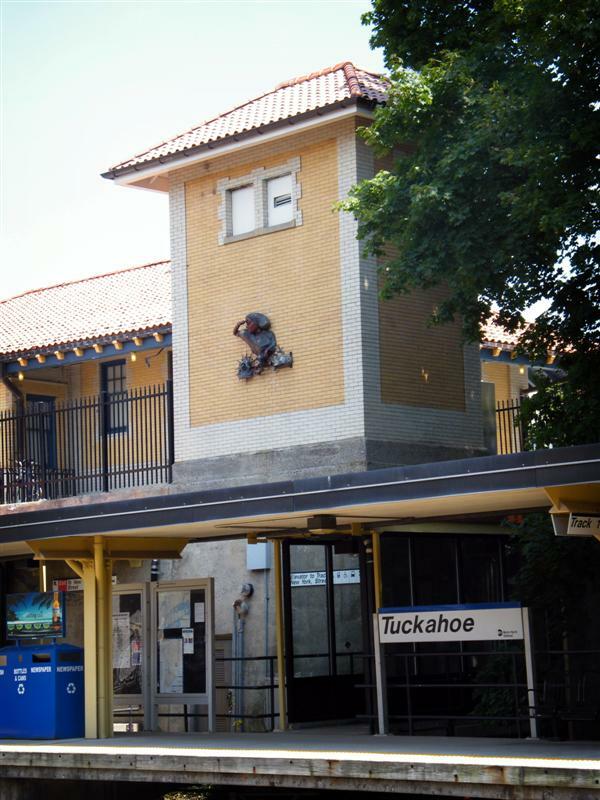 Tuckahoe was one of the few stations that accepted check baggage, Railway Express, and cadavers, back when. 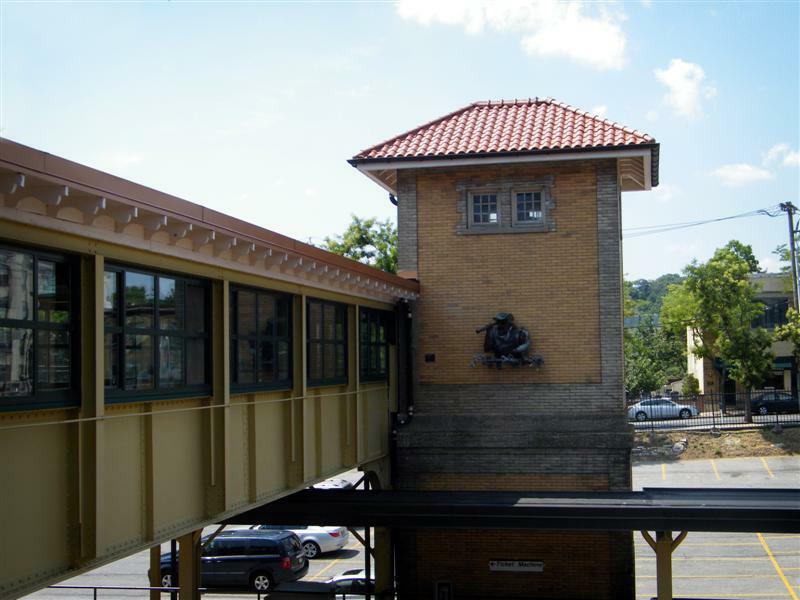 The elevator (tower on the east side) was used for baggage wagons. 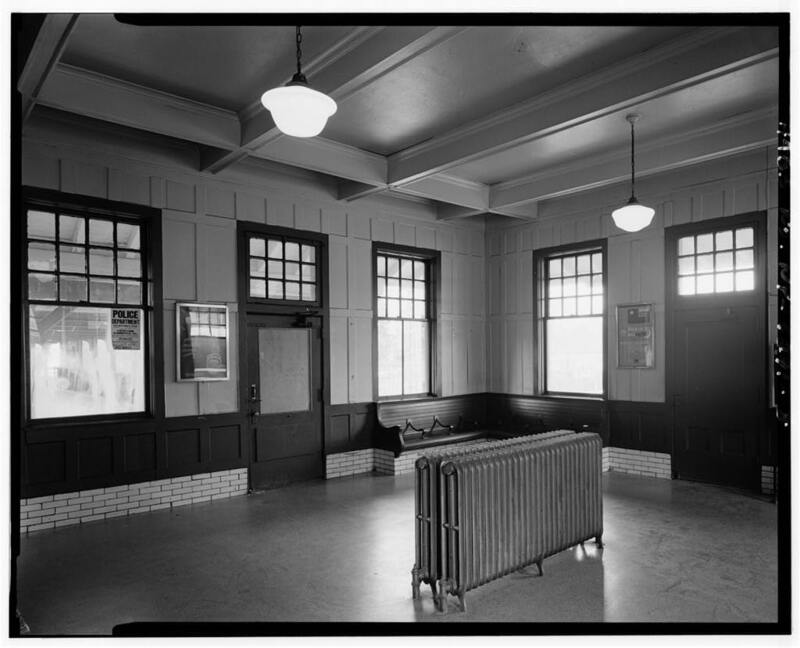 Other stations, on the electric division, that had baggage facilities were Mount Vernon and White Plains, that I remember. Yar! Human remains (boxed, of course). 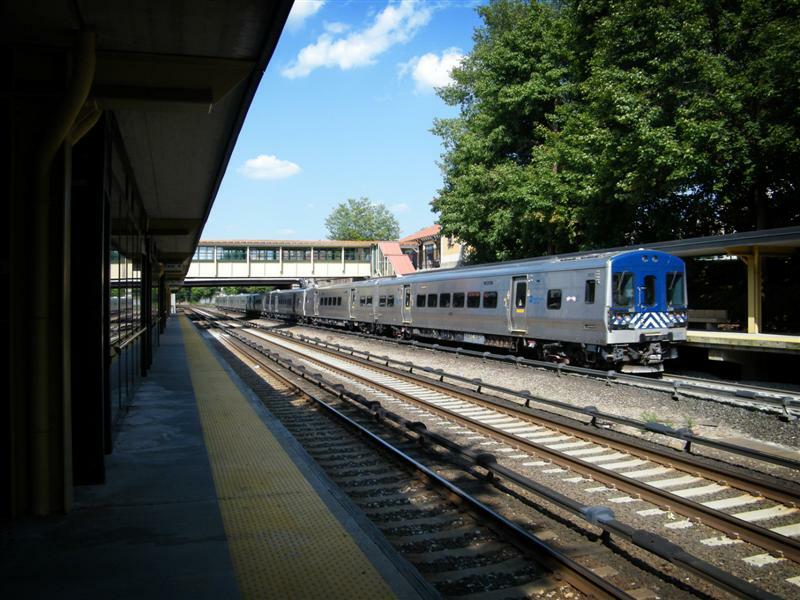 Back when I was a kid and worked as a laborer on construction during college “vacations”, I often rode the lead car of a 4100-series MU, as I was a bit dirty. 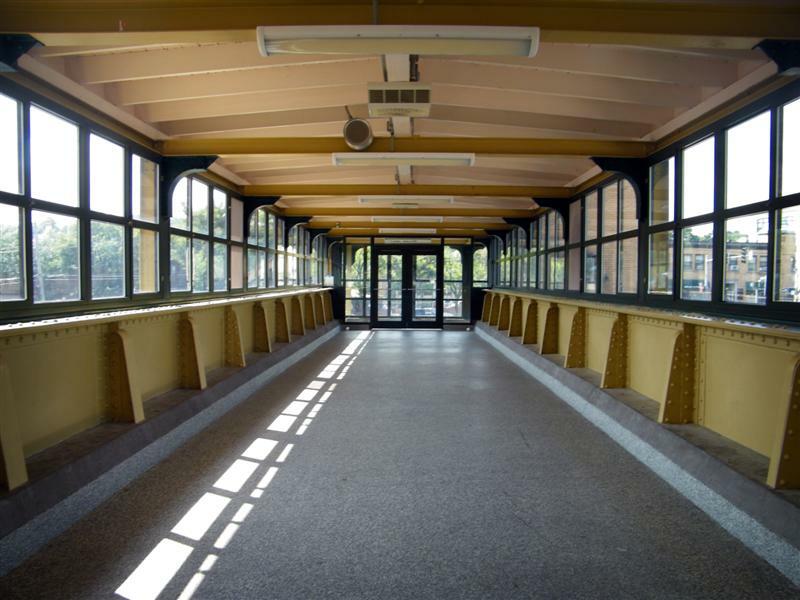 It was a straight baggage car. 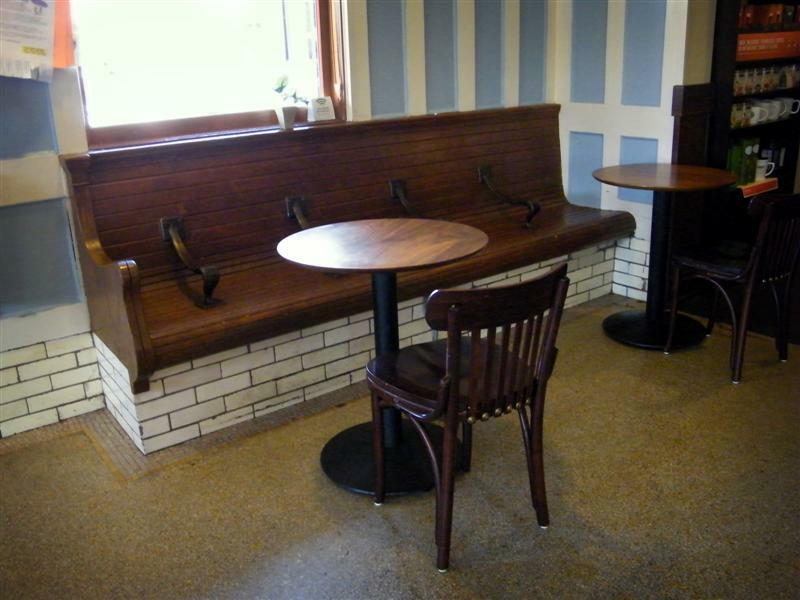 Sometime the only available seat was on a “rough box” that protected the coffin. No problema. 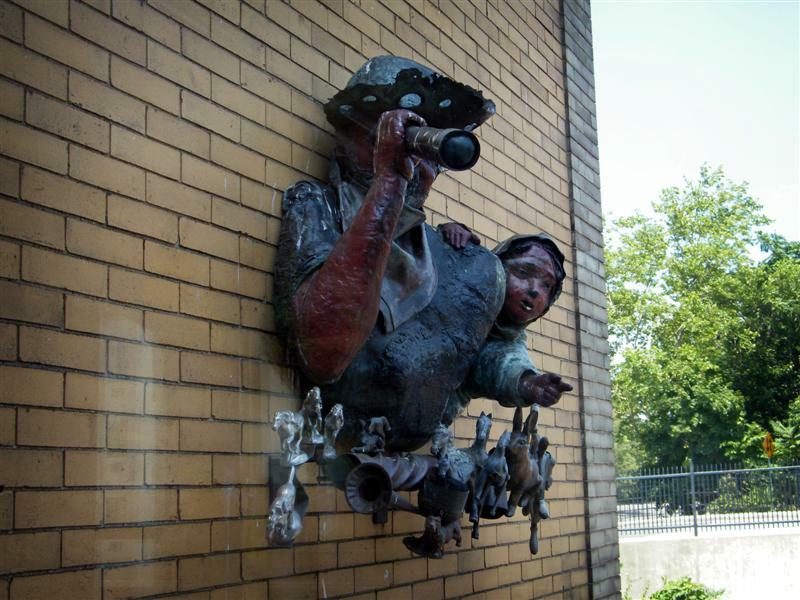 Never got shot while going thru the Bronx! 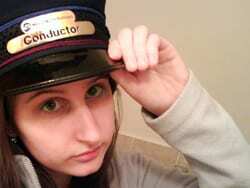 Amtrak still takes human remains as checked baggage.